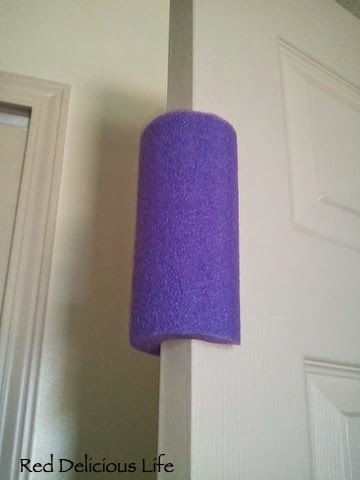 When I had first started blogging (only occasionally) on my very first blog I had made this post about using a pool noodle as a doorstop to prevent toddlers from closing a door. It's been my most popular pin on Pinterest and since it was recently featured on the I'm A Lazy Mom website I decided I should probably repost it on my current blog so people don't go to a dead website. So, there you have it - my ingenious, creative idea using a pool noodle. What a great idea! Inexpensive easy yet effective. Thank you for sharing!